Hello and welcome to International and Cross-Cultural (ICCE) Evaluation Week! This is Veronica Olazabal, ICCE TIG Chair, AEA Board Member and Head of Evaluation at The Rockefeller Foundation. This week is intentionally designed to preview the international and cross-cultural evaluation offerings at AEA’s Annual Conference. Please follow along! 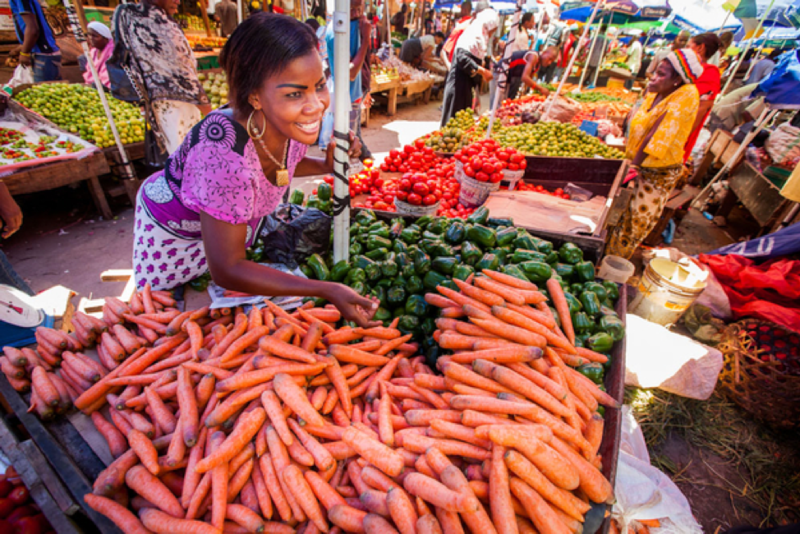 CC image, Small Holder Farmer in Tanzania Market. Courtesy of USAID on Flickr. I’ve been reflecting on how the entry of new actors (e.g., impact and other social investors) into the international development financing landscape is disrupting how we think about end-user feedback. Many of us in the international development space are all too familiar with the long-time power debates on how we refer to end-users of interventions (e.g., beneficiaries, clients, recipients, “the poor” etc. ), and the equally long debates on how we best integrate their voices into the design, analysis and reporting of evaluations. We even have various evaluation approaches (e.g. participatory evaluation, culturally responsive evaluation etc.) aimed to ensure that the communities we serve and their experiences are accounted for in an authentic and contextualized way. What if we viewed end-users as customers? Would the power dynamics inherent in the aid systems we have socially constructed be any different? In the social investing space, end-users are viewed as customers and consumers, and their feedback as valuable for understanding when something is/is not working (in the retrospective evaluative sense). Interestingly, in this space, customer feedback is also valued for its ability to signal if an investment will or will not work (in the prospective strategic sense). As you can imagine, because customer feedback has material implications for whether a social enterprise or investor will be able to achieve financial sustainability, how best to design products and/or services as well as how to manage the risk around the generation of both positive and negative, intentional and unintentional impacts on people and planet is at the center of these strategies. Is this an opportunity or a challenge in speaking truth to power? I leave you with these RAD RESOURCES to help inform your thinking: “At the Heart of Impact Measurement, Listening to Customers” published in the Social Science Stanford Review (SSIR) and Feedback Labs. Curious about other implications the new investors might have on international evaluation? At the upcoming AEA annual conference, the ICCE TIG is cohosting Empowering the impact investing sector with poverty data with our Social Impact Measurement (SIM) TIG colleagues. During this session, organizations such as Innovations for Poverty Action (IPA), William Davidson Institute (WDI) and FINCA will dive deep into poverty indicators, tools and methods that can and are being collected across social investments. They will also reflect on how these various approaches to measuring poverty are contributing to deepening our evaluations of international development writ large.